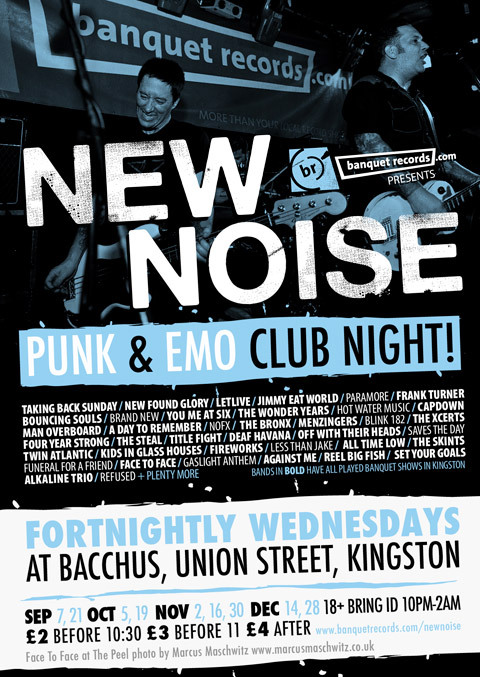 I photographed Face to Face playing the Kingston Peel on Tuesday night and the guys over at Banquet Records have used one of the images on their flyers to promote upcoming New Noise evenings that they run. Great band, Great show and amazing Records Store. Check them out. You can also see a few more of my shots from the night HERE.